Last night I created a ridiculous goal of finishing this baby sweater by tonight. The chances of that are slim but I do have a crazy kind of fun making silly goals. You see, that lady who was due "any day" now for about two to three weeks had her baby last Friday. We ran into the new dad at a local restaurant so I heard the news straight from a reliable source. So wouldn't it be nice for my husband to have a wrapped up baby sweater at Thursday's racquetball game??? (there should not be a letter "c" in racquet, looks weird but spell check is telling me I'm wrong). I just started the first sleeve ...time is ticking. I finished those sparkly socks on Monday night and the post is here. I think through the summer I will always have a pair of socks on the needles. I would love to knit two or three pairs for my husband. His current hand knit socks are looking pretty "loved". I continue to read The Lace Reader and it's a really good book so far. I'm half way through it. I love that the story is told in the first person and sometimes in the third person. Switches it up a bit. There is a mystery and of course I want to know every single detail so I keep on reading. That is a good book! I also have started Bird by Bird by Anne Lamott. I so enjoyed her other book that I'm going to read all of hers. She has a refreshing raw voice and writes things I think about in my head. We heard our happy news that a friend's baby girl was born on friday too! What a happy day. The puerperium I'm making is very far from finished, but it's also coming up bigger than I expected, so I guess a late present won't hurt! Bird by Bird is a great book, and one that I have my eye on to re-read sometime soon! What are you doing posting here? You should be knitting knitting knitting for that new bub ;) Good luck with your crazy deadline! Good luck finishing up the baby sweater! I love knitting baby sweaters, they knit up so quickly! Good luck with finishing it up by Thursday! You can do it! It's such a beautiful pattern. Socks are usually the only things I knit in the summer. Small enough not to get too hot on your lap! What does spell check know? Racquetball DOES have a letter c in it. I always hate when spell check is wrong - it certainly doesn't spelling challenged son. I bet you make it!!!!!! I love the pattern you use so much!!! Me, too, on the socks; Still have yet another pair on the needles for hubby. Haven't read Bird on Bird, but it's now on "the list"! Thanks for the recommendation. Good luck on finishing the sweater! I am sure it will turn out just lovely! I have no doubt that you will do it...you always do! Something about deadlines make a creation happen! I will be checking tomorrow's post...no pressure or anything!!!!! Good luck with the baby sweater. I always have a pair of socks on the needles....unfortunately it's been the same pair for the last 18 months or so! My goal was to have socks on the needles at all times, but err.. they have been forgotten. Oops! Love your new header! So springy. Good luck on finishing the baby sweater- yep, that is some goal. Good luck om getting the sweater finished in time. Thanks for book recommendations, I've just added them to good reads - to read list. Hey, stranger things have happened, so don't count finishing that sweater out just yet. i love bird by bird! I just love anne lamotte. loving your project. if it makes you feel any better, mine take months at a time. they'll love it no matter when they get it - even if they can only take a picture and then have to put it away for the next baby. Love the baby jumper, having goals is always awesome, whether or not you can reach them. Just the fact that you thought of them and their baby is wonderful! i make silly deadlines too :) i think you'll make your deadline! loved both of those books!!! Baby news is always so wonderful! Good luck on meeting your deadline. I tend to set those for myself. i love deadlines (mostly!) i know you'll do it! it's going to be so cute. bird by bird was required reading for college prep english (for my youngest) and she loved it so i read it too, loved it! (we then went and saw her speak at uc santa barbara). and karen, i loved pocketeers, hee hee. That baby sweater is the cutest! What does one do will well-loved handknit socks? Darn them, use the yarn for another purpose? Wow, our yarns look very similar! Except mine is wool. 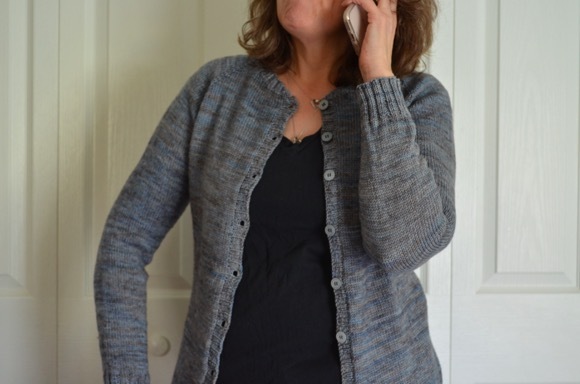 I love your most recent projects - the button up jacket is great!, perfect color and yarn choice. can I tell you I love coming to your blog....your profile pic always makes me smile! I grew up with a schnauzer and it reminds me of her! Can't wait to see that baby sweater!!! Karen, you can do it! 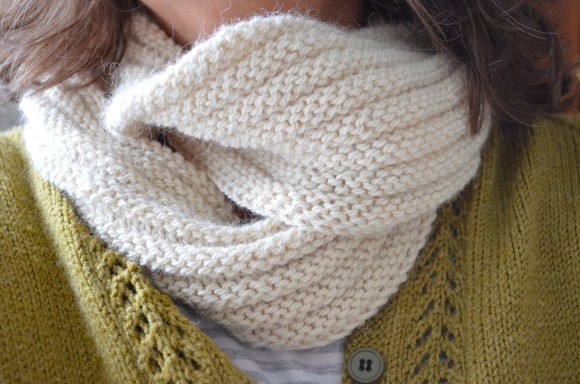 You are an amazingly talented knitter. I love Anne Lamott, but haven't read Bird by Bird..yet! What a great pattern! I'm sure your version will be lovely. I added it to my queue. What a good idea to knit socks over the summer. I find bigger projects too hot. Good luck finishing the baby sweater. You can do it! You can do it!!!! And the new baby will love it! The yarn looks so soft and warm. We have a new niece and I am already scrambling to find the perfect booties for her. I have The Lace Reader on my shelf and I think I might have to start it sometime soon. Good luck! It will be done before you know it. I love your socks! You can do it! I like to give myself goals, lol. Makes me work faster... if I can get away long enough to get some knitting in. Ooohhhhh, did you make it happen? I'm sure that little baby will love his or her new sweater. What a cozy welcome to the world!